World champions Australia will play a rugby league Test against emerging power Tonga in Auckland next month, the New Zealand Rugby League announced Wednesday while axing planned games in the United States. The October 20 fixture at Mount Smart stadium comes a week after the Kangaroos face New Zealand at the same venue. Tonga will then return to New Zealand next June to play the Kiwis, NZRL chief executive Greg Peters said. "International rugby league is the pinnacle of our game and these Tests are another step towards developing the international calendar," he said. Australia are 11-time world champions and will be heavy favourites against both New Zealand and Tonga. But the Pacific islanders showed they could be competitive at last year's World Cup, when they scored a shock win over New Zealand on their way to the semi-finals. 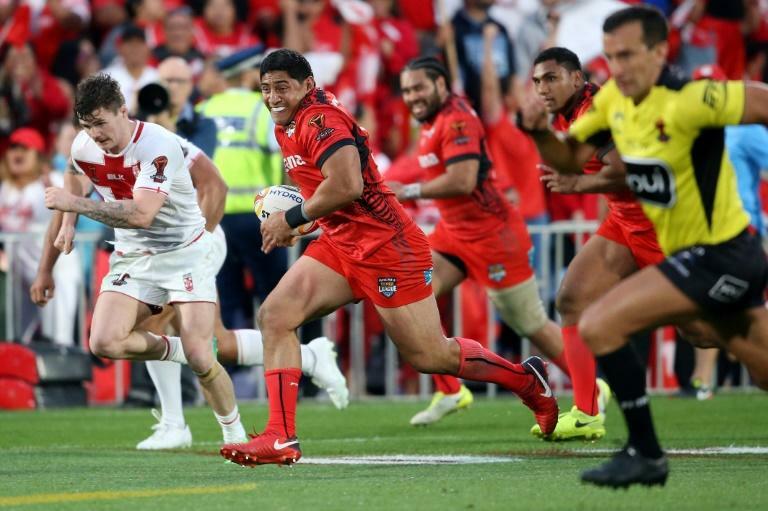 Tonga were boosted when a number of Australian and New Zealand-raised players of Tongan heritage such as Jason Taumalolo, David Fusitua and Will Hopoate chose to represent the island nation. Coach Kristian Woolf said the upcoming fixtures were a fitting reward for their efforts. "It's a wonderful opportunity," he said. "We believe the Kiwis v Tonga Test in New Zealand will generate a lot of support from both fan bases and we look forward to the prospect of a long-term relationship with the New Zealand Rugby League." Tonga has a huge fan base in New Zealand and their World Cup matches last year were sold out with red-clad spectators filling the stands. NZRL said the fixtures replace planned Tests between the Kiwis and England in Denver in June 2019 and 2020. The sides played a Test in Colorado in June this year but there were less than 20,000 at the 76,000-capacity venue and NRL clubs complained about the long travel times endured by their players.